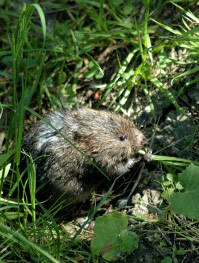 Water voles receive protection under Schedule 5 of the Wildlife and Countryside Act 1981 (as amended). They are protected from disturbance and it is an offence to deliberately, capture, injure or kill them or to damage, destroy or obstruct their breeding or resting places. Our ecology surveys, ecological surveys and ecological surveyor (ecology surveyor) practice throughout London and the South UK including places like Hampshire, East Sussex, West Sussex, Surrey, Berkshire, Kent, Essex, Hertfordshire, Bucks, Ilse of Wight and Hammersmith, Slough, Haslemere, Hove, Newhaven, M25 Corridor, Clayton, Edenbridge, Reading, Bexhill and more! 23/04/19.